Olave, who came into the game with five catches and no touchdowns, caught two TD passes and broke it open on special teams in the third quarter. He looped through a seam in the line and got a chunk of Will Hart’s punt. 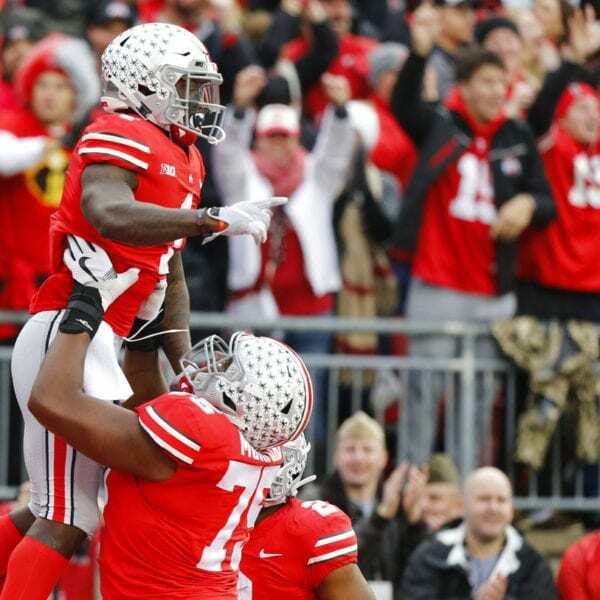 The ball sailed off high and to the side and landed in the arms of Sevyn Banks, who cruised 33 yards for a touchdown that made it 34-19 and sent the Ohio Stadium crowd into a frenzy. The 22nd top-10 matchup in the rivalry produced a wild first half that went nothing like what was expected. Haskins and the Buckeyes carved up the top-ranked defense in the country. 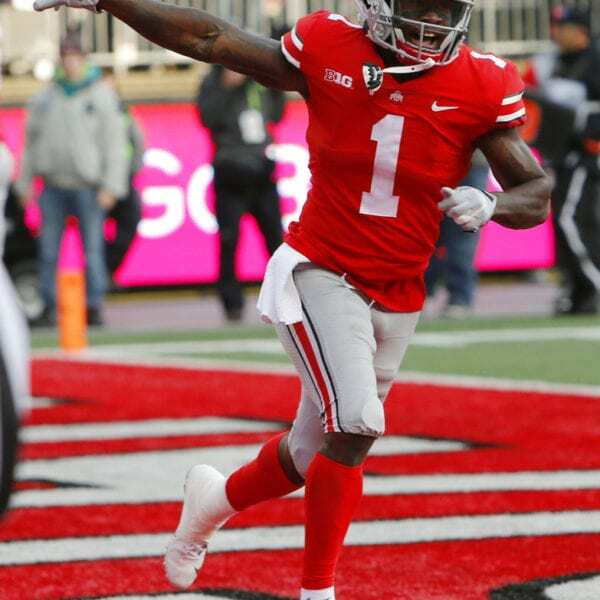 The Buckeyes had the horseshoe rocking when Haskin found Johnnie Dixon wide open for a 31-yard score to go up 21-6 with 3:18 left. 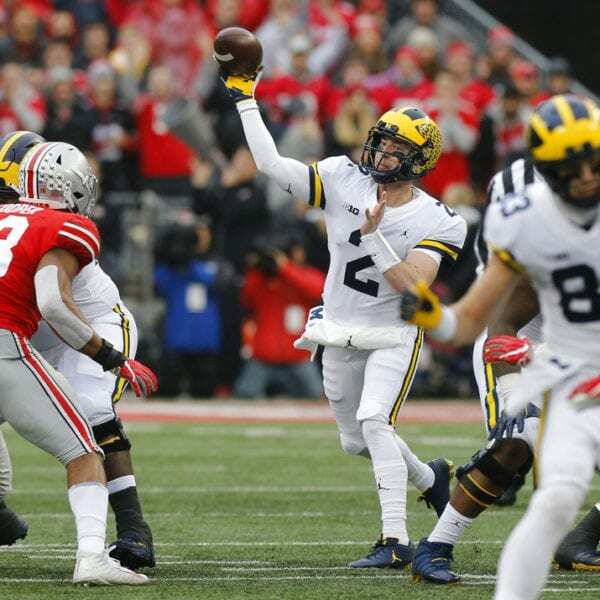 Shea Patterson and Michigan responded with their best drive of the first half and Nico Collins came down with a 23-yard touchdown pass with 47 seconds left. 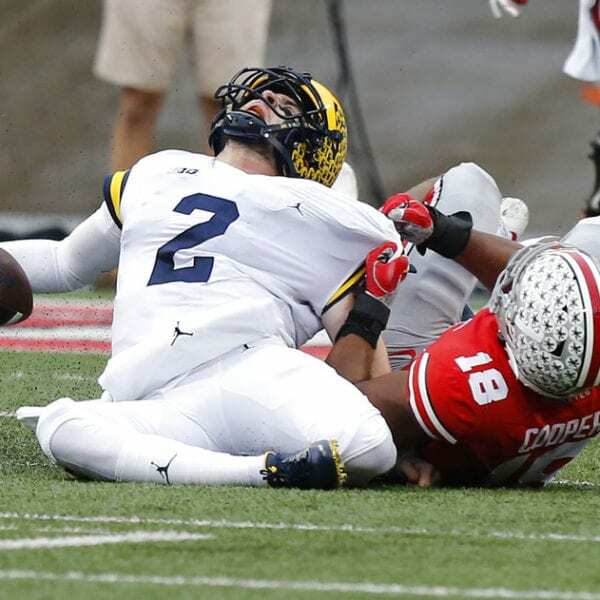 Six seconds and an Ohio State muffed kickoff later, Patterson flipped to Chris Evans for a 9-yard touchdown. Michigan failed on the 2-point try, but the Wolverines were back in it at 21-19 with 41 seconds left. That was more than enough time for a penalty-aided drive by Ohio State that ended in a short field goal as time expired. Haskins finished with 318 yards and set the Big Ten season record for TD passes with 41. Patterson finished with 187 yards passing and three touchdowns, but the second half was mostly Buckeyes. Michigan: Harbaugh is now 0-4 against Ohio State and faces another year of critics questioning his ability to win the big game. Ohio State: The season started for Ohio State with coach Urban Meyer suspended for three games for his handling of former assistant coach Zach Smith, who has been accused of domestic violence by his ex-wife. A cloud of uncertainty hung over the Buckeyes throughout preseason practice and this season has been anything but normal. The road to The Game was filled with spotty performances, one humbling loss, several close calls and constant speculation and questions about Meyer’s health and future. 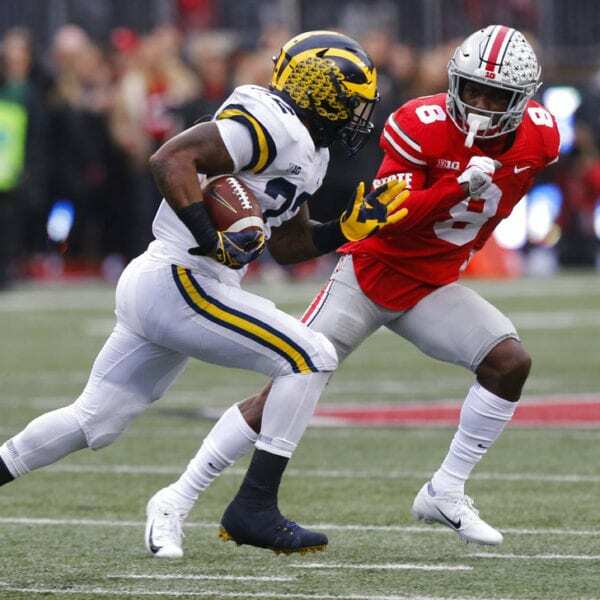 After all of it, it was business as usual for the Buckeyes against Michigan and Meyer flashed a satisfied grin when he met Parris Campbell on the sideline after a 78-yard touchdown run that made it 48-25 early in the fourth quarter. Michigan: The Wolverines will likely still get into a New Year’s Six bowl, maybe the Peach. Ohio State: The Buckeyes have won six straight against Northwestern and lost to the Wildcats just once, dating to 1972. Be the first to comment on "Buckeye Blitz: No. 10 Ohio State Blows Out No. 4 Michigan 62-39"